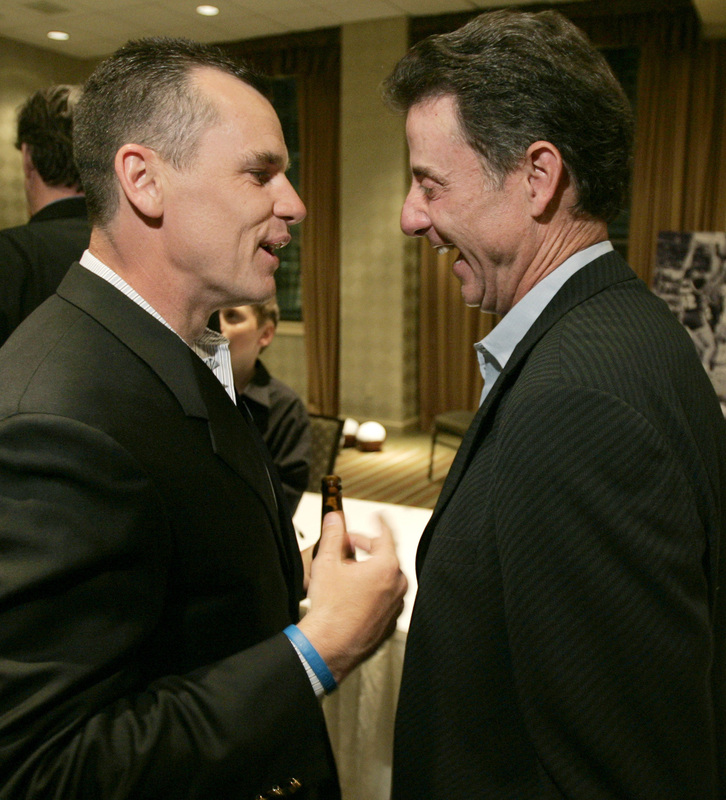 PHOENIX — The first time Billy Donovan met Rick Pitino almost three decades ago, neither man expected to see much more of each other. Donovan intended to transfer from Providence at the end of the semester after playing sparingly as a freshman and sophomore. And Pitino was eager to let him go because he was certain he'd have little trouble finding a recruit better than a doughy backup guard who hadn't cracked the rotation on a losing team. That neither Donovan nor Pitino found a single Division I coach in the Northeast interested in taking the junior guard turned out to be one of the luckiest breaks in both men's lives. 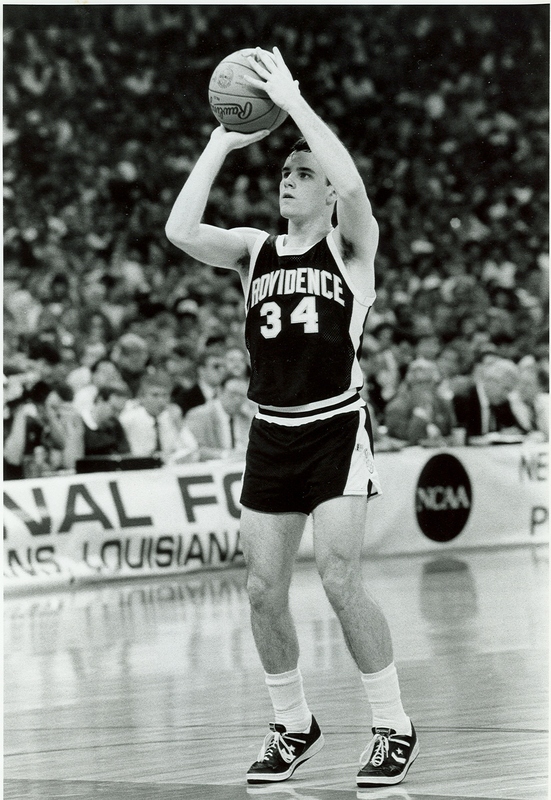 Had Donovan not lost 30 pounds, rededicated himself to basketball and developed into an All-American point guard, Providence never would have made the unlikely 1987 Final Four run that launched Pitino's coaching career. And had Pitino not hired Donovan as a grad assistant at Kentucky, mentored him for five years and urged Marshall, then Florida to make him one of the nation's youngest head coaches, Donovan's smooth path to the peak of the profession would have been far bumpier. "I think about it all the time, 'Would Billy Donovan be here at Florida today if I'd transferred from Providence or if Rick Pitino didn't take the job?'" Donovan said Wednesday. "Where would I be? Maybe I'd be down on Wall Street. Maybe I'd be doing something else. Who knows what I'd be doing? But I feel very fortunate Rick Pitino came into my life." Donovan's and Pitino's lives again will intertwine Saturday in Phoenix in the NCAA tournament's West Regional title game. Because Donovan's seventh-seeded Gators upset Marquette and Pitino's fourth-seeded Cardinals toppled Michigan State on Thursday night, the two men will meet 25 years after Providence's memorable run with another Final Four berth on the line. The matchup will shine a spotlight on a relationship that has evolved from player-coach, to mentor-protégé, to close friendship. Pitino and Donovan trade texts during the season, golf during the summer and even exchange annual Christmas gifts, a pricey bottle of wine for the coach and a designer tie for the ex-player. 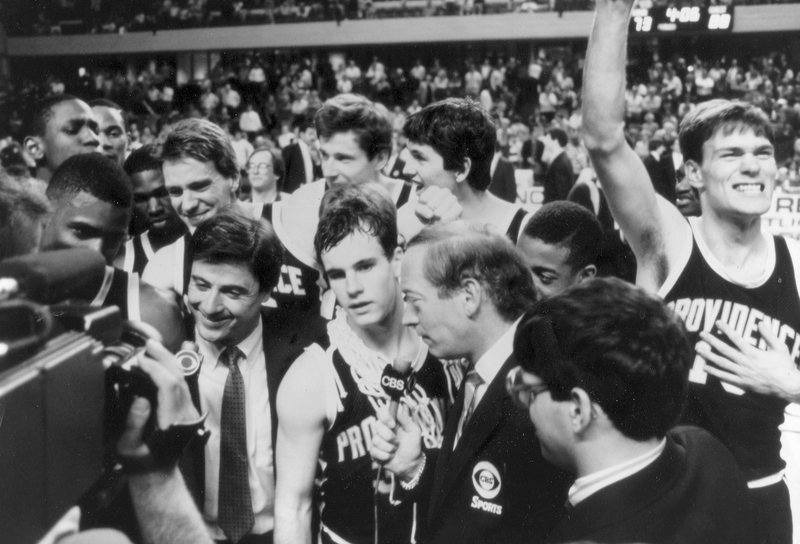 "Both of them know that meeting in the Elite Eight would be special, but knowing coach Pitino and knowing Billy, they would do everything in their power to win," said Bill Creamer, a student manager on the 1987 Providence team and a close friend of Donovan's. "Before the game, they'd wish each other well and after the game, they'd congratulate each other, but during the game they would want to kick each other's asses." To understand how the relationship between Donovan and Pitino blossomed, it's important to understand the circumstances in which it began. When Providence plucked Pitino from the New York Knicks staff in 1985 to rebuild its floundering program, the Friars had finished last or next-to-last in the powerful Big East the previous six seasons. Longtime coach Joe Mullaney hadn't managed to land Big East caliber recruits or inspire sufficient work ethic in his players during the twilight of his career. Donovan's own career had stagnated under Mullaney because he didn't fit well into the coach's half-court-oriented style. A creative passer and gifted scorer in an up-tempo system at St. Agnes Cathedral High on Long Island, Donovan grew frustrated when he couldn't crack Mullaney's rotation or even contribute much in practice, leading to his weight ballooning to nearly 200 pounds. The combination of the lack of playing time and the lack of interest from coaches his family called seeking a transfer convinced Donovan he needed to work harder. As a result, Donovan eagerly accepted Pitino's offer of a clean slate in return for him shedding his excess weight by the start of practice in the fall. "I threw myself into it," Donovan said. "I said, 'You know something, these schools don't think I'm good enough. I'm not playing. I've got to make a decision who I want to be as a player and what kind of commitment I'm going to make.'" Pitino himself was a fellow gym rat and New York native with a life-long love for basketball, so he quickly grew fond of Donovan once the guard demonstrated he shared that passion. The fact Donovan outworked his teammates the next two years was no small feat because Pitino demanded incredible commitment from every Providence player. The Friars studied offensive and defensive sets each day from 6:30 to 8 a.m., did hour-long individual workouts between classes during the early afternoon and practiced from 3 to 6 p.m. Then after dinner and study hall, they shot for an hour or two at 9 p.m. before going to bed and doing it again the next day. What makes Pitino call Donovan the hardest worker he has ever coached is that the guard did extra work in addition to that grueling schedule. Once practice or a workout was done, Donovan typically wouldn't leave the floor until he sank 100 free throws or buried 10 pull-up threes in a row. One day during the summer of Donovan's junior and senior year, it took Donovan 90 minutes to hit his 10 straight threes, much to the chagrin of the Providence teammates who were waiting to drive to New York City with him that afternoon. "At some point when you make nine in a row several times and it gets to be an hour and a half, most people say, 'I'll get it tomorrow,'" said ex-Providence teammate Ryan Ford, still a close friend of Donovan's. "He doesn't say that. He stays until he gets 10 in a row. It made a real impression on me at that time. There's no quit in him. He has a gear other people don't have." The dedication Donovan showed his final two seasons at Providence endeared himself to Pitino and enabled him to excel in a system tailor-made for his skill set. Aware that his Providence teams had Ford and Chevy talent in a Rolls Royce league, Pitino installed a fast-paced, helter-skelter system in hopes of leveling the playing field. Pitino drew on his experience as an NBA assistant, installing a pick-and-roll heavy offense and instructing his teams to attempt 25 or more 3-pointers per game at a time when most coaches were hesitant to embrace the new addition to the sport. Donovan's best qualities were his ball handling, outside shooting and decision-making with the ball in his hands, so he quickly earned the nickname "Billy the Kid" as a result of his success in the system. He averaged 20.6 points per game as a senior, leading the Friars to NCAA tournament victories over Alabama-Birmingham, Austin Peay, Alabama and fourth-ranked Georgetown before they lost to Syracuse in the Final Four. "No one has ever coached in one single year better than Rick Pitino did that year," said former New York Knicks coach Jeff Van Gundy, a graduate assistant on that team. "We were at best below average talent-wise, but we shot the ball, we played completely unselfishly and we played our asses off. When you do that, you can max out whatever you have." Pitino parlayed the national buzz from that season into an offer from the Knicks to be their next head coach, but it took longer for Donovan to carve out his post-college niche. He spent parts of one season riding the bench in the NBA before giving up basketball to dedicate himself to a Wall Street job. Donovan initially chose finance since it was a common path for ex-college athletes once their playing days were over, but nothing about the industry appealed to him the way basketball did. As a result, he called Pitino, admitted he was really unhappy and told him he wanted to get into coaching. "The last person I ever thought would go into coaching was 'Billy the Kid,'" said Pitino, who didn't think a shy, quiet player like Donovan had the communication skills to be a coach. "I said, 'Billy, you're going to make a lot of money on Wall Street. Stay put. Coaching is not for you.' And I said, 'Call me back on Friday, think about it for three days, speak to your mom and dad. If you're still unhappy, call me again.'" Donovan did call again — and this time Pitino agreed to help. Pitino was in the midst of negotiating with Kentucky to accept its coaching job, so when they reached an agreement, he brought Donovan along as a graduate assistant. From giving Donovan his first coaching gig, to mentoring him for five years, to telling athletic directors from Marshall and Florida they'd be crazy not to hire him, Pitino greased the wheels for his star pupil's rise. And Donovan, to his credit, took full advantage of the opportunities, leading Florida to the 2000 national title game in his fourth year at the school and to back-to-back championships in 2006 and 07. Twenty-five years removed from their time together at Providence, Donovan still calls Pitino "Coach" and Pitino sometimes slips and refers to Donovan as "Billy the Kid" even though the Florida coach is now 46 years old. The two men are both very grateful they came into each-other's lives, even though Donovan bristles at the idea they're both equally responsible for each other's success. "He gave me an opportunity to play, hired me as an assistant coach, gave me mentoring and helped me go to Marshall and Florida," Donovan said. "I have never paid for one thing in his presence. Ever. Every time I try, he says, 'Will you stop?' I played for him for two years and gave him everything I had, but if you look at some things that have happened over the course of my life because of the opportunities he has given me, he has done far more for me than I've done for him."